Anezina Village is one of the first hotels to be built exclusively with environmentally friendly material and according to bioclimatic architecture. Each building has been designed in order to combine the best use of the climate of the area, the specific needs of the guests living in the Village and the local traditional character. 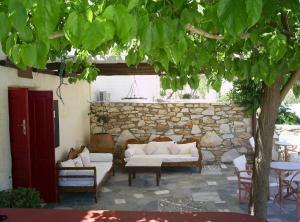 One of our main aims is to provide our guests with comfort and privacy. Each of Anezina Apartments has 2 rooms & its own character, furnished and equipped with kitchen, TV and direct-dial telephone. The rooms are quite spacious and cool. The nearest beach is at a 150m away; you can easily reach the surfing Golden Beach. 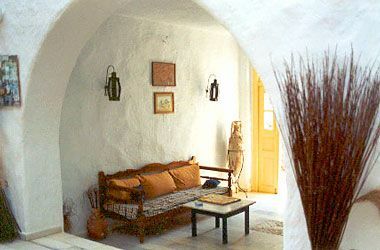 Staying at Anezina, you will have the feeling that you are resident of a small, Cycladic village. 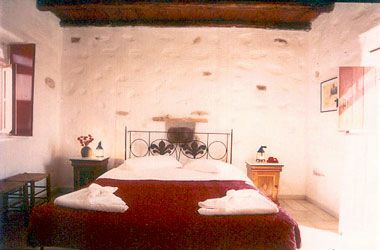 In the outskirts of the Village, there is Anezina Hotel offering 13 simple, well-priced rooms for 2 or 3 guests, most with sea-view. 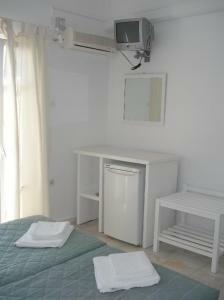 Hotel rooms feature TV, A/C, boiler, refrigerator & balcony. 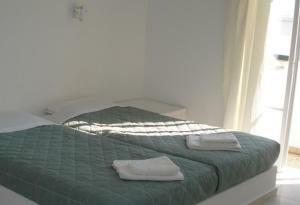 All our guests are welcome to use any of the facilities at their own convenience. If our guests wish to spend a lazy day by the pool, they can take advantage of our original and cozy drinks and snacks bar, which will also deliver purchases straight to their apartment when required. Anezina Village is open almost all year round. 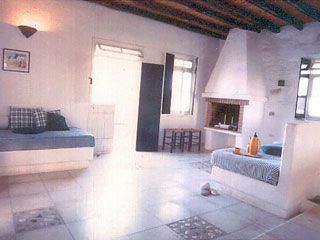 Each apartment resembles a house, ideal for long stays. 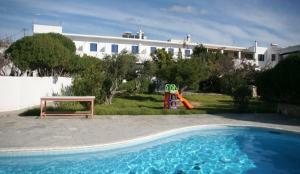 Check out our tempting Special Offers from October to April. The Village has its own mini-market & gift shop, cafeteria, satellite TV lounge, internet access, mini-playground, table tennis & car park. Our staff is happy to assist with faxes, car/bike hire, diving activities, small cruises & transfers. 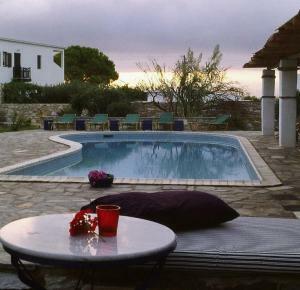 Summer theme nights twice a week: Greek dance lessons & Greek BBQ, Tango nights etc. We look forward to welcoming you.